We have to admit that as much as we book people enjoy reading throughout year, busy schedules and unlimited social media time (utilise limiting social media apps folks!) mean less opportunities to read something physical. And when it comes to summer - there are so many things to do, that completing a summer reading list some random person put together on the internet can seem less of a priority. Don’t get me wrong, I’m a huge book bug, (bitten since I discovered the Little House on the Prairie series) but usually I’m either in the water for night swims, backseat driving on 2-day road trips or doing something else nature-y that I’m not able to do as freely in other seasons - which leaves my library books feeling a little left out. So. Instead of traditionally compiling your summer 2019 reading list, we’ve handpicked a few little books that have created a large impact for you to mull over, review and fall in love with. I’d rather read one or two interesting, very detailed and/or humorous books all season than buying 7 to sit and gather dust. Below are some reads that’ve been gaining momentum and praise. All you need is one or two new books this summer and a whole lot of sunshine! Zadie is at her best, in Feel Free. She shares a fresh perspective on real world topics with the same charm and nuances that Zadie speaks with in real life (at her readings and presentations). The book presents a collection of essays on real world topics including social media, future changes, global warming and so on. It’s Zadie’s personal view on the cultural and politics shifts. This is a must read for anyone that requires a fresh outlook on the high and low interweaving culture around us. This charming Sunday Times bestseller, penned by one of Forbes European 30 under 30, uniquely collects advice, essays and other from successful creative women in order to formulate the perfect modern day career guide for the working woman. Don’t let its travel size (there’s obviously a theme here, we all need to start carrying around pocket sized books!) fool you as there’s plenty of hard-earned wisdom and insights from trailblazing ladies you’d want to get your hands on. Easy to read on a short bus ride or to start your day with. Perfect for the busy hustler and traveller! Ah hah! My favourite one of the bunch. Make sure you order several or loan this one to your friends as it’s jam-packed with chilling insight and provocative analysis of subtle and not-so-subtle racism today. It’s a rigorous investigation that removes itself from any liberal agenda to focus on the lack of existing racial equality in the UK. It’s facts and transparency in a world of misconstrued racial beliefs are relatable to any country dealing with issues of love and acceptance. Again, a MUST-READ. A refreshing blend of illustrations, wit and mischief, Shopsin leads the reader on with a whirlwind dialogue to unpack her life both at home and abroad. Brimming with observations about the places she travelled and life experiences themselves, it’s been termed by critics as a “charming, rewarding and unusual narrative.” Tick tick tick! A mixture of common sense and dark humour, this book gets you thinking (and googling the occasional British reference) about both the unusual and typical happenings that occur in our society. Suitable for the go-getter reader, it’s filled with humorous essays which ensures you don’t have to read it from cover to cover in one go (and it’ll still make sense. Remember having to re-read a whole chapter because you forgot what happened previous? A non issue with this lucky charm!). 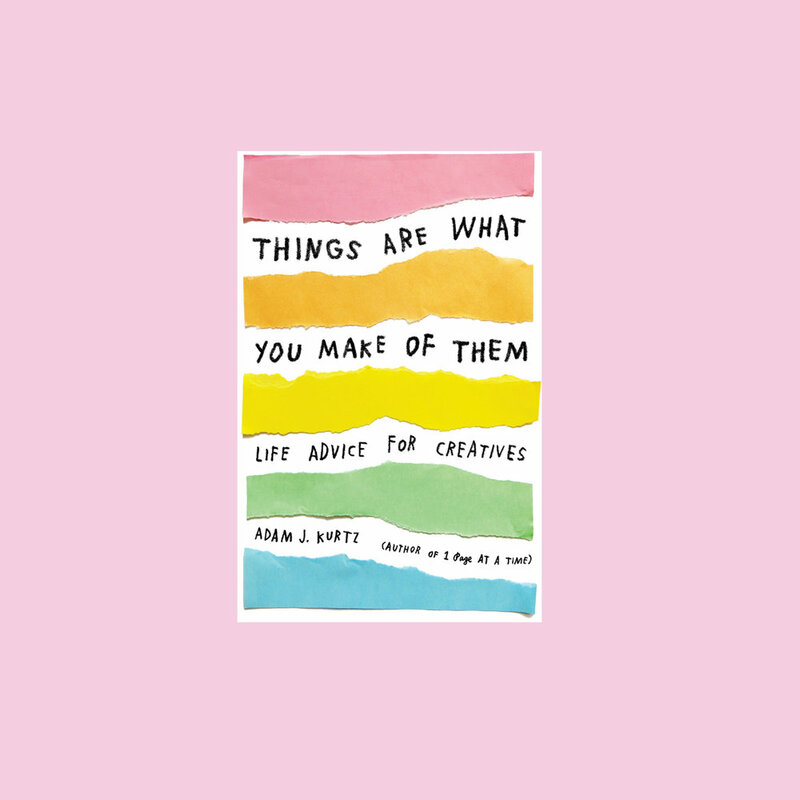 This craft pocket sized number had to be on this list- recommended by Forbes, Teen Vogue and others, it provides practical life advice for any type of creative mind- whether it’s someone with writer’s block, or someone whose extremely successful their creative venture. It’s all fine and dandy to see inspirational quotes for creatives on Pinterest, but to have actual and less-than-cliché relatable advice to consider, we suggest you give this simply designed yet power packed book a try.